There has been a long and well-documented association between raptor persecution and grouse moor management in the UK uplands. 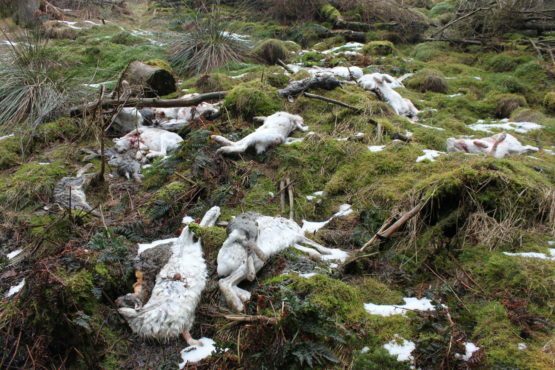 Even today, protected birds of prey continue to be persecuted on some driven grouse moors to such an extent it is causing population-level effects on iconic species such as golden eagles, hen harriers, red kites and peregrines. The level of criminality, which, we believe, fits the definition of organised serious crime, is unacceptable and is out of control. 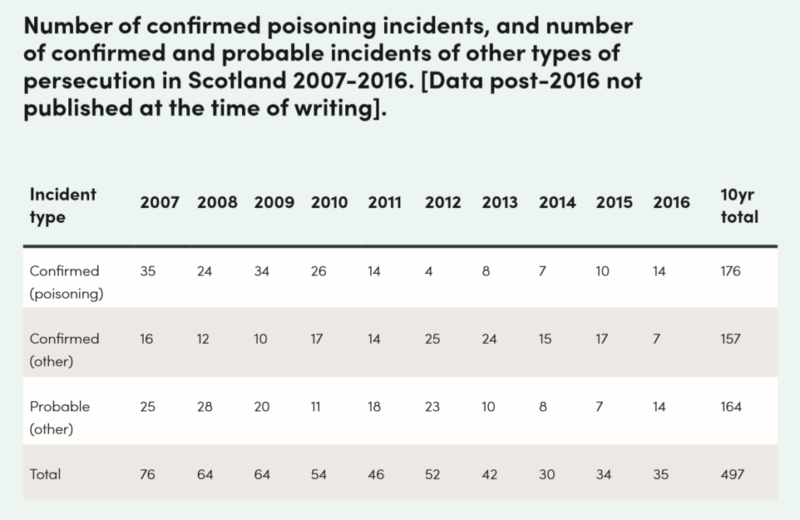 The full extent of raptor persecution in Scotland is difficult to determine and wildlife crime in general is widely recognised as being under-recorded. 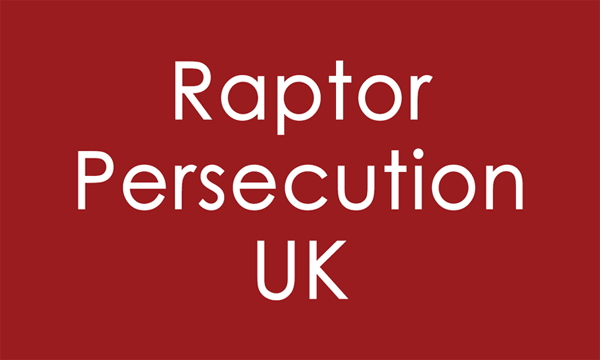 The under-recording of raptor persecution crime is largely due to the remoteness of some of the crime locations, especially those in rural areas (i.e. grouse moors) where geographic constraints severely limit the number of potential witnesses. Indeed, what is usually found is the aftermath of a crime, as opposed to the witnessing of a crime in progress. It is also known that some perpetrators take extra measures to prevent the detection of their crimes, e.g. by removing injured or dead birds from the crime scene and relocating them elsewhere. 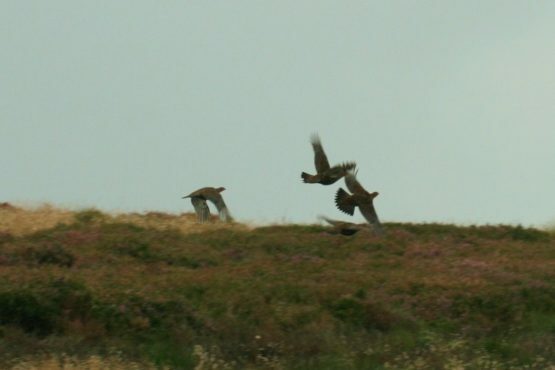 Raptor persecution crimes that are recorded are often described as representing ‘the tip of the iceberg’, a claim vigorously disputed when used to describe the extent of raptor persecution on land managed for driven grouse shooting. However, there is a significant weight of scientific evidence supporting the contention that the crimes detected represent only a proportion of those committed, particularly when the extent of persecution is considered sufficiently high to be constraining the populations of some species at the local, regional and/or national level. Although the 2014 UK breeding population overall (estimated at 1,769 pairs) had increased by 22% since the previous national survey in 2002, this was largely due to increases in lowland areas in England where over a quarter of pairs are now breeding on man-made structures. In Scotland there was a modest overall population decline but regional declines were much more prominent, particularly in upland areas where peregrine occupancy and breeding success were lower in and near areas managed for driven grouse shooting. These national results mirror other regional studies that have demonstrated that grouse moor management is negatively associated with peregrine breeding success. The headline news was that overall, the national 2015 UK breeding population (all in Scotland) had increased by 15%, rising from 442 pairs in the 2003 national survey to 508 territorial pairs in 2015, resulting in the species gaining ‘favourable conservation status’ (500 pairs is the threshold criteria), even though this is still well below the country’s estimated carry capacity of 700 pairs. However, as with the peregrine, this overall national increase masked significant regional variation. 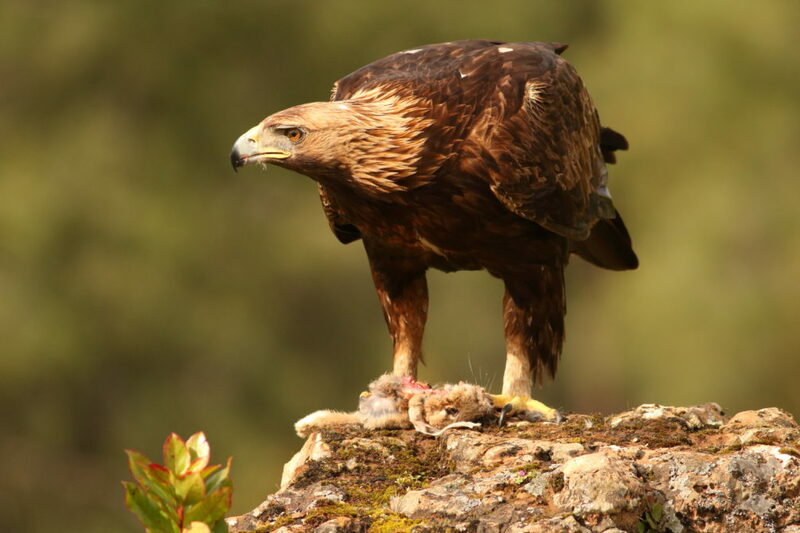 The 2015 national survey results showed continued low occupancy of golden eagle territories in the eastern and south-central Highlands where the land is intensively managed for driven grouse shooting, just as the results had shown from the previous national survey undertaken fourteen years ago in 2003. Illegal persecution on driven grouse moors has been repeatedly identified as being the most significant constraint to population growth in these regions. The results of the national UK survey in 2016 showed population declines in each country with a national total of 545 territorial pairs. In Scotland, the population fell by 9% (460 pairs in 2016 national survey, down from 505 pairs in 2010) but longer-term figures demonstrate a highly significant 27% decline since the 2004 national survey (633 pairs). Losing over a quarter of the population in just 12 years is a matter of conservation concern as Scotland currently holds 80% of the UK hen harrier population. As with peregrines and golden eagles, the 2016 survey results showed low occupancy and population decline in the eastern Highlands (67% decline) and southern uplands (33% decline), areas dominated by intensively managed driven grouse moors. Satellite tagging became and unexpected source of evidence about the extent of illegal raptor persecution associated with driven grouse moors. In recent years, as those responsible for killing eagles grew wise to the powerful technology of these tags and understood that the tag would still transmit even if the bird was dead (and would thus lead investigators to the corpse/evidence), perpetrators changed tactics and began to destroy both the bird and the tag. 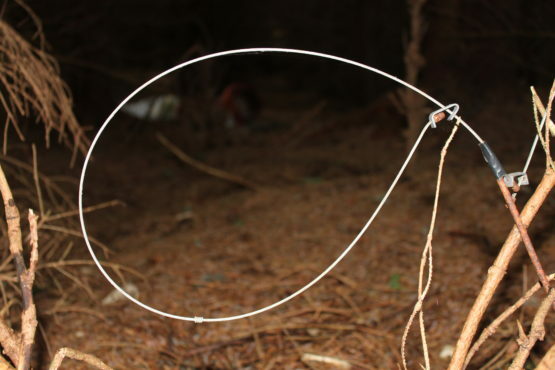 Evidence of this was provided when a tag was discovered on a grouse moor in the Angus Glens showing its casing had been stabbed by a sharp implement and its harness had been cut cleanly by a sharp instrument. 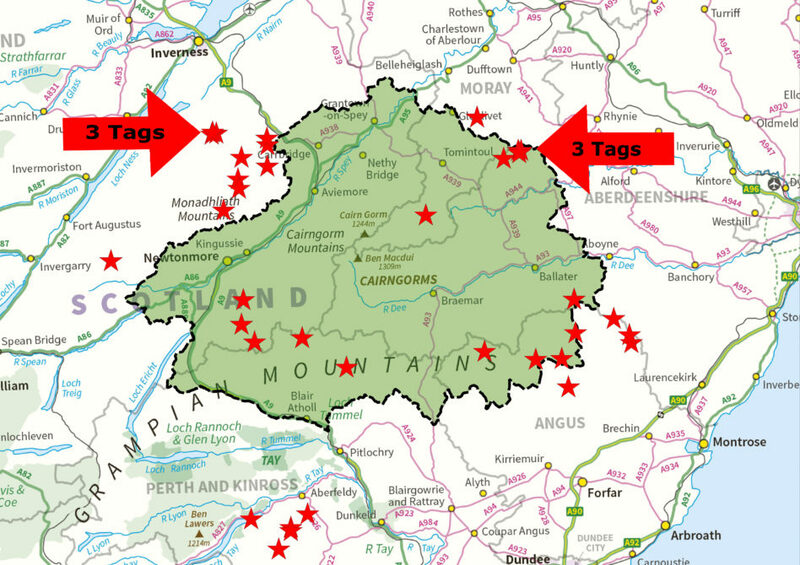 Subsequently, many of these tags, which have a demonstrated reliability of between 94-98% depending on tag type, have been suddenly and inexplicably stopping, and, suspiciously, both the tags and the birds have been ‘disappearing’ without trace. 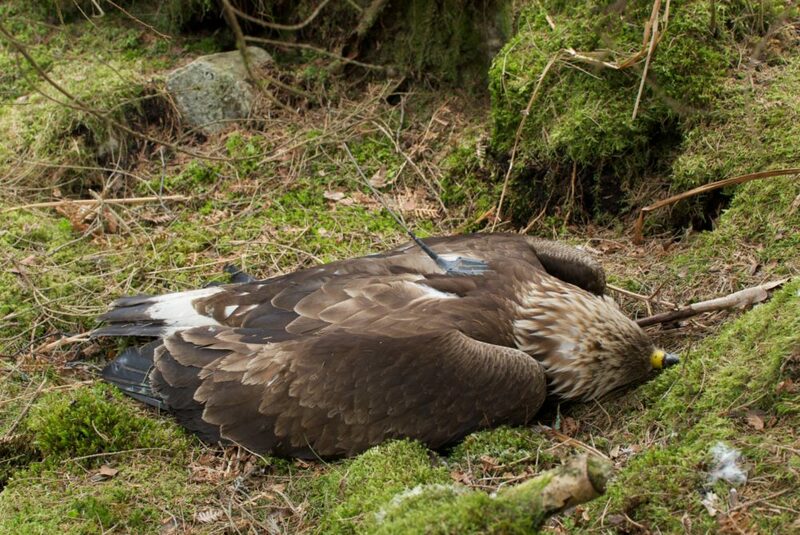 In response, Environment Cabinet Secretary Roseanna Cunningham MSP in 2016 ordered a review of golden eagle satellite tag data “to discover if there is a pattern of suspicious activity”. The review’s findings, published in May 2017, were devastatingly clear. The Cabinet Secretary responded by establishing an independent panel to examine the environmental impact of grouse moor management practices, to consider a licensing scheme for grouse shooting, and to assess the costs and benefits of large shooting estates to Scotland’s economy and biodiversity. This panel (the Werritty Review) is due to report in spring 2019. 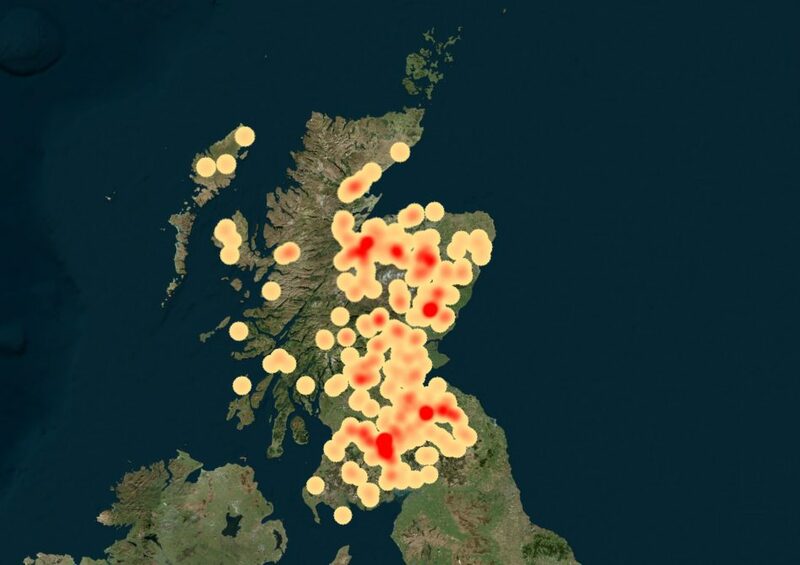 The on-going suspicious ‘disappearance’ of satellite-tagged hen harriers in Scotland has prompted a similar analysis to the golden eagle review and preliminary findings suggest comparable results with up to a third of tagged hen harriers ‘disappearing’ in areas close to land managed for driven grouse shooting according to Ian Thomson, RSPB Scotland. 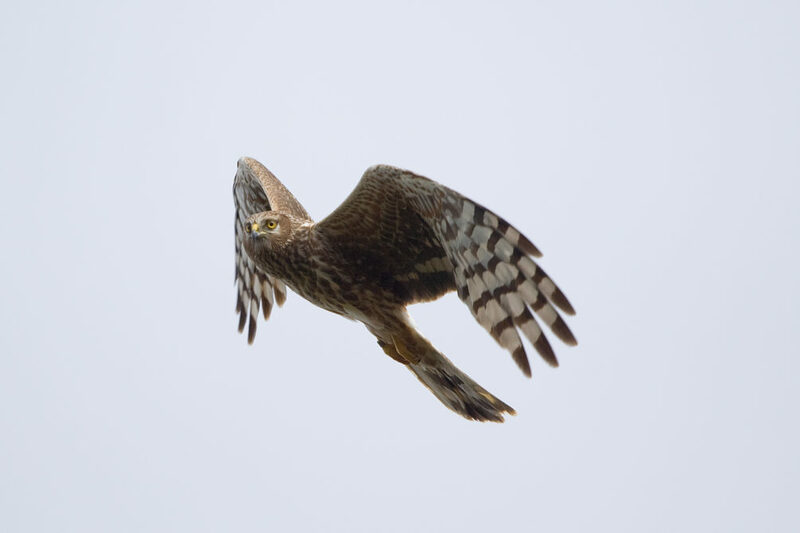 Revive looks forward to working with the Werrity Review and its findings to ensure that illegal raptor persecution in Scotland comes to an end.